Welcome to the blog of Tonya Royston, author of Young Adult Paranormal novels. These posts will include updates on The Sunset Trilogy, new story ideas, fun stuff like books she is reading and lots more! 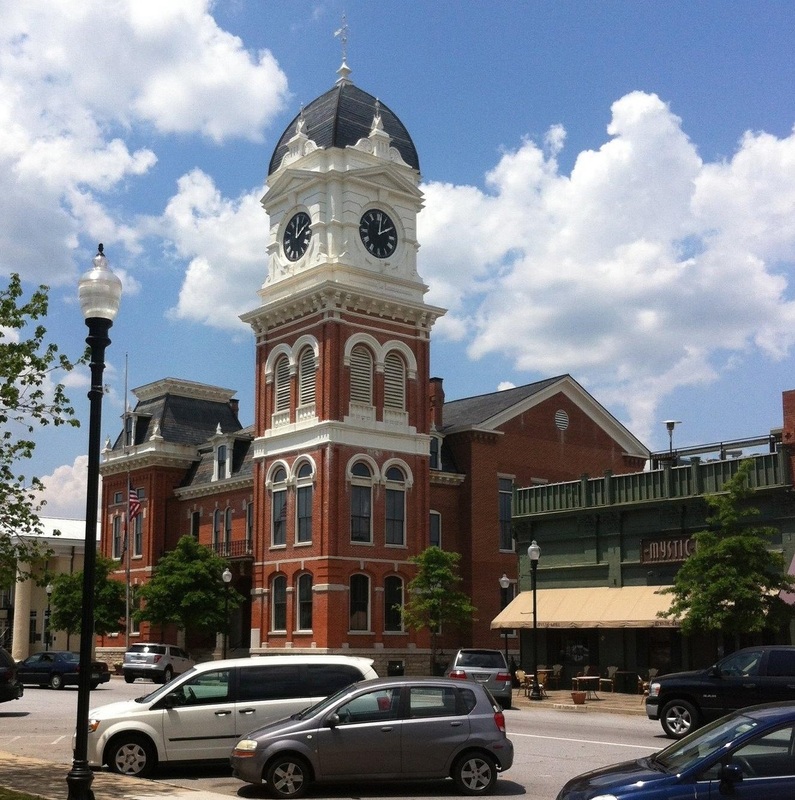 Earlier this spring, I took a fun trip to Covington, GA and learned that it’s known as the Hollywood of the South. Many movies and TV shows have been filmed there including my all-time favorite, The Vampire Diaries. Let me just say that I was not disappointed! I spent an evening in the town square outside the clock tower and the Mystic Grill to watch the season finale of the show. Then, over the weekend, my sister and I took a Vampire Stalkers tour. This was definitely one of the highlights of my trip. Oh, the stories we heard! I’d love to mention some of them, but they aren’t my stories to tell. I highly recommend the tour if you’re a Vampire Diaries fan. If you love the show and have the chance to visit Covington, do it. You won’t regret it! Click here to check out the Vampire Stalkers website.